Fun paper straws can be used for embeds and embellishments in soap! 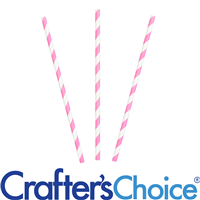 Each straw has a fun, colorful pattern to match different soap designs. Paper straws are great for cocktail, lemonade, coffee and many more drink inspired soaps!